When a child is experiencing difficulties with eating, mealtimes can often be discouraging and frustrating for families. 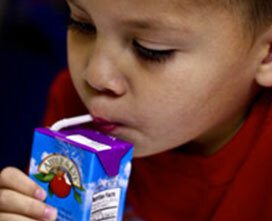 For many children, eating is a chore due to various feeding/swallowing complications. Despite parents’ best efforts, these children often need specialized intervention to achieve success with eating. Mealtimes do not have to be a battle. We are here to help. 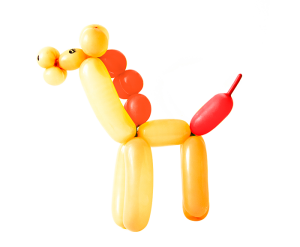 The Food Chaining Protocol, a systematic method for treating children with extreme food sensitivity, is utilized with the majority of children experiencing behavioral feeding difficulties. 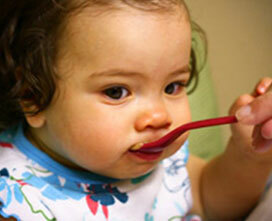 Feeding treatment is provided at PTI to address a variety of feeding and swallowing difficulties in children. Children with medically-based feeding/swallowing difficulties may also receive feeding treatment at PTI. 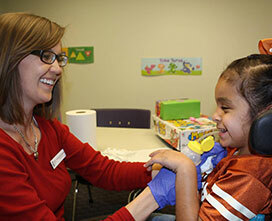 Children in feeding treatment at PTI receive individualized and goal-directed intervention. Each child’s treatment is directed by a team of professionals that may include a speech-language pathologist, occupational therapist, patient care coordinator, pediatric gastroenterologist, and parents. When children’s nutritional needs are met, more success is seen in physical capabilities, attention, memory, and behavior. It is our goal at PTI to provide intervention and strategies to meet each child’s nutritional needs and to make mealtimes enjoyable again.